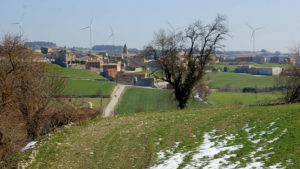 The Camino Catalán, Camí de Sant Jaume in Catalan, is the Camino de Santiago route taking pilgrims from the Mediterranean coast in Catalonia to La Rioja, where pilgrims can join the famous Camino Frances (French Way) to continue their journey to Santiago de Compostela. Divided in four stages over 18 nights, the Camino Catalán starts in the magical city of Barcelona before heading West across Catalonia’s countryside towards Aragón and finishes in Logroño, capital of the famous La Rioja wine region. 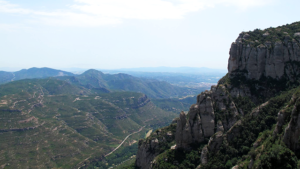 Walking the Camino Catalán, you will visit Montserrat Natural Park considered Catalonia’s ‘Holy Mountain’, Zaragoza city with its splendid architecture and the vineyards of La Rioja. 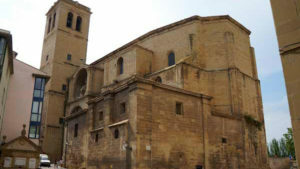 The Way of Sant Jaume was declared First European Cultural Itinerary in 1987 and Patrimony of the Humanity by UNESCO in 1993. Today, most of the Camino Catalán route will take you across sleepy country roads and stunning scenery. Today’s stage on the Camino Catalán, will take you across rural areas of great beauty, particularly in the spring. 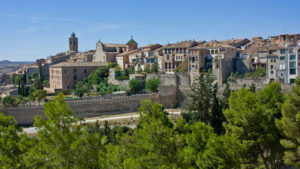 Once you have left Porquerisses, on your way to Cervera, you will be passing several villages: La Panadella, Els Hostalets i Sant Antolí, and Sant Pere dels Arquells. 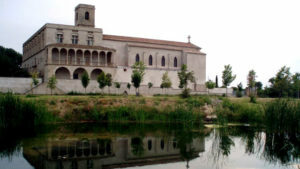 It is in urban areas where you will find reminders that you are on the Way of Saint James, such as the church of Santa Maria del Camí (Santa Maria of the Camino or Santiago), and Sant Jaume Sesoliveres, a little church outside of Igualada also dedicated to St James. Jaume is James in Catalan. 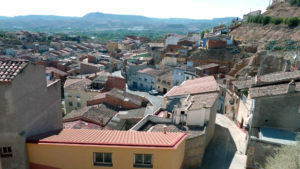 Cervera is the capital of Segarra. Make sure you visit the church of Santa Maria and the Roman church of San Pedro el Grande. Today’s section of the Camino Catalán takes you via Tàrrega and Vilagrassa, following the valley of the Ondara River. Wide open landscapes, ever-stretching horizons and farm land of great beauty welcome pilgrims on the way. From Castellnou, the Camino de Santiago route takes you through orchards watered by the Canal d’Urgell. Your stop for the night is the city of Lleida. 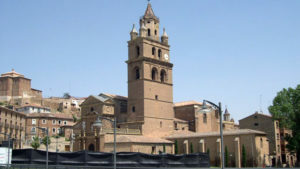 Today, the Camino Catalan leaves Catalonia and takes pilgrims into the region of Aragón. The first part of the last stage of the Way of Saint James Way in Catalunya runs along the river Segre, turned into a Greenway until Butsènit. This is a nice stretch of the Camino even in the hottest days, as it has plenty of shade for walkers. Today, pilgrims on the Camino Catalan will enjoy a pleasant hike across crop fields and orchards. 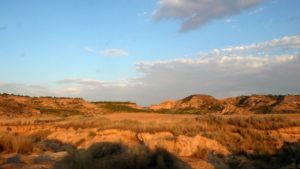 Today, the Camino Catalán takes you to the eerie and unique landscapes of the Monegros steppe. Leaving the steppes of Monegros behind, you will appreciate a change in the scenery as you reach the great and refreshing Ebro River. 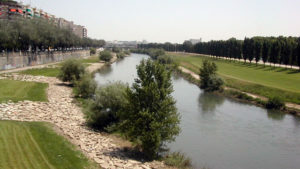 Today, you will enjoy a pleasant hike along the river Ebro, and finally reach the magnificent city of Zaragoza, one of the highlights of the Camino Catalán. 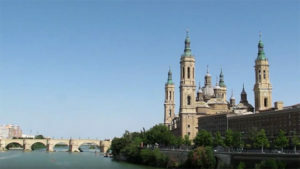 Zaragoza city, located in the valley of the Ebro River, is the finishing point for this stage of the Camino Catalán. Muslim, Christian and Jew communities have left their mark and architecture in the city’s old town over the centuries. Discover the city’s magnificent mix of architecture, and don’t forget to taste the fantastic local delicacies in the shape of tapas. 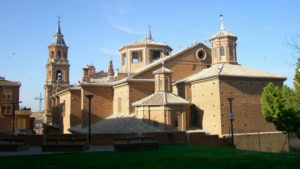 The Basilica of Our Lady of the Pillar is the most impressive monument, as well as the Seo Cathedral and Aljaferia Palace. 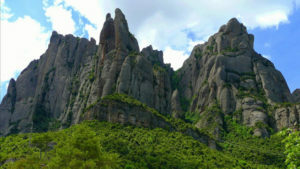 The three of them are UNESCO World Heritage sites. 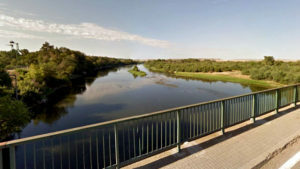 Today, you will be following the Ebro River as you pass the Castellar desert. 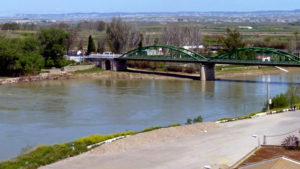 After Alagón, a pleasant hike between two rivers (Jalòn and Ebro) awaits you. Today, your Camino Catalan hike becomes a bit more hilly, as you approach the muslim-established town of Tudela. Today the Camino Catalan reaches the famous La Rioja wine region, pilgrims will be greeted by vineyards and a relaxing atmosphere. 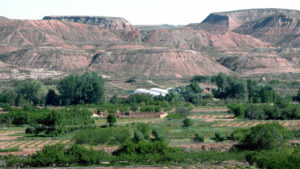 You are now in a verdant region, perfect conditions for agriculture and the production of wine. 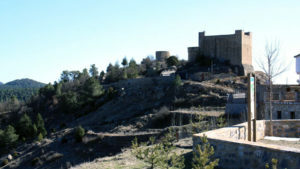 From Calahorra, expect a pleasant and peaceful hike. Expect a solitary experience here as you won’t meet meet many other pilgrims on this particular section of the hike. 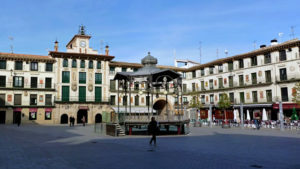 The Camino Catalan takes you today to the historical city of Logroño, capital of La Rioja and home to some of the best tapas scene along the Camino de Santiago. Head for Calle Laurel to sample the local Rioja-style specialities. It is here where the Camino Catalan joins the Camino Frances. It’s the final day of the Camino Catalan and time to explore the city of Logroño, capital of La Rioja, before you head home. The old town is home to the Gothic cathedral of Santa María and many other Romanesque churches, including the San Bartolomé Church with its beautiful carved porch and the Santiago church with its imposing image of Saint James. If you travel to Logroño in September you might catch the city’s most important festival, Saint Mathew, celebrating the Rioja grape harvest. Head for Calle Laurel to try the city’s best ‘tapas’. 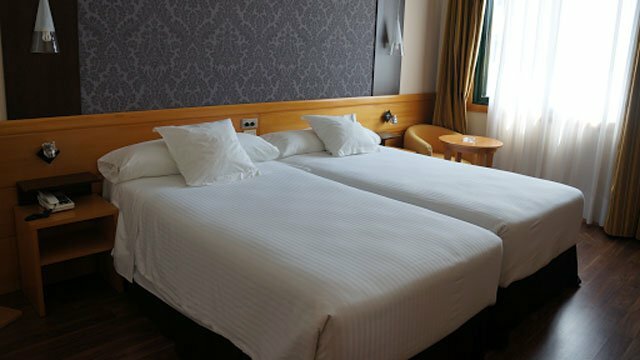 Girona – Costa Brava Airport 94km: Take the Line 601 bus from the airport to Girona (every hour, taking 18 minutes) and then take the train to Barcelona Sants train station in the centre of the city (every 15 minutes, taking 39 minutes). Barcelona Airport 100km: There is a bus between Barcelona airport and Cervera, once a day (taking approx. 2h). There is also a bus between Barcelona (Nord) and Cervera (7times/ day, approx. 1h40 travel time). See www.movelia.es. To get from the airport to Nord bus station: take the airport shuttle (Aerobus) to Plaza Catalunya. From there you can take the metro to the bus station. 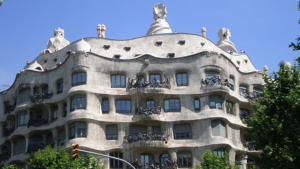 See www.barcelona-tourist-guide.com for detailed information. Girona – Costa Brava Airport 175km: There is a direct bus (the Eix bus) between the Girona airport and Cervera (twice a day with a travel time of approx. 2h30). See www.teisa-bus.com. Madrid Barajas Airport 330km: There is a bus connection between Madrid airport (T4) and Zaragoza, taking approx. 3h30. See www.movelia.es. 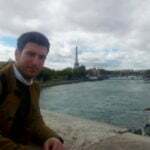 There is also a train connection from/to Madrid (Chamartín) (10 times/ day, taking approx. 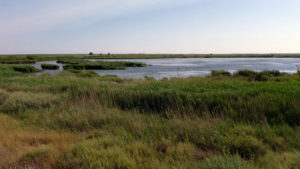 2h40). See: www.renfe.com. There is a train (Line C1), linking the train station (Chamartín) with the airport (Terminal 4). See www.renfe.com. Bilbao Airport 140km: Shuttle bus from Bilbao airport from/to bilbao bus station (every 30min). A Bus links Logroño with Bilbao bus station (6 times a day/ 1h45) see: www.movelia.es. Zaragoza Airport 175km: There is a direct train between Logroño and Zaragoza (9 times/ day. ca. 2h). There is a bus between the station in Zaragoza (named Delicias) and the airport (every half an hour). See www.renfe.com.